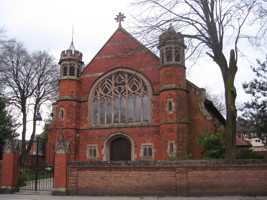 This mainly brick church was built in 1903 on land given by the Duke of Portland and designed by Louis Ambler. It consists of a nave, chancel, narrow north and south aisles, two diminutive towers either side of the wide west entrance, and a north-east porch. 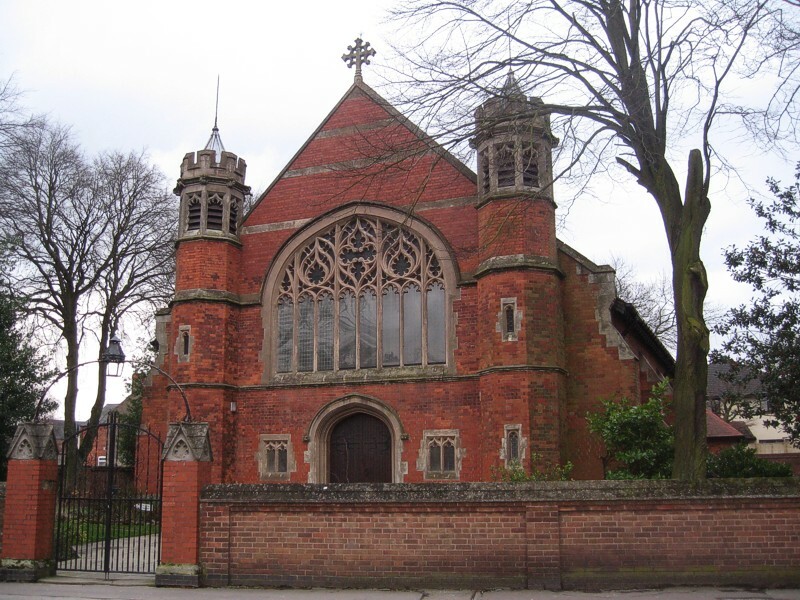 The Lady Chapel in the north-east corner was designed by E Watkinson in 1936. There is a hammerbeam roof. The arcades are supported by stone columns and the stone chancel arch bears carved heads, as do the corbels. In the chancel is a good mosaic tile floor, a hanging rood, four painted angels on the roof beams and the four Evangelists on corbels. There is a carved oak pulpit and reredos with riddel posts. The choir stalls have poppyheads. The east window of stained glass has five lights, a First World War memorial. The only other stained glass is a portrait of St Mary in the Lady Chapel. Either side of the nave are five windows of four lights each in clear glass. There is one wall monument to Rupert Alexis Rickett, killed in action, 1916. The south tower contains one bell by John Taylor & Co of Loughborough. The organ is by Wadsworth Brothers of Manchester.